Sometimes, it becomes difficult to make your house look contemporary with decoration and at that time, you can decide to get curvy crystal white vase at your home. It would allow you to decorate your home in an effortless way. This would prevent you from holding up colors and edgy decor of the room as flowers can be put inside the vase. This vase comes with crystal clear white material which can impart peaceful vibes to your room. You can use this vase for holding your favorite bunch of flowers. Not only you can get this vase for your home but you can also get it for presenting to your loved ones. You Don't need to find a special place for this vase as the vase would make the place special on its own. So, you Don't need to think for a second before buying this awesome piece of art. The curve given in this vase can enhance the beauty of it and it can also maintain the grip. Make sure that you keep kids stay away from this vase as it can be broken and damaged after falling down. 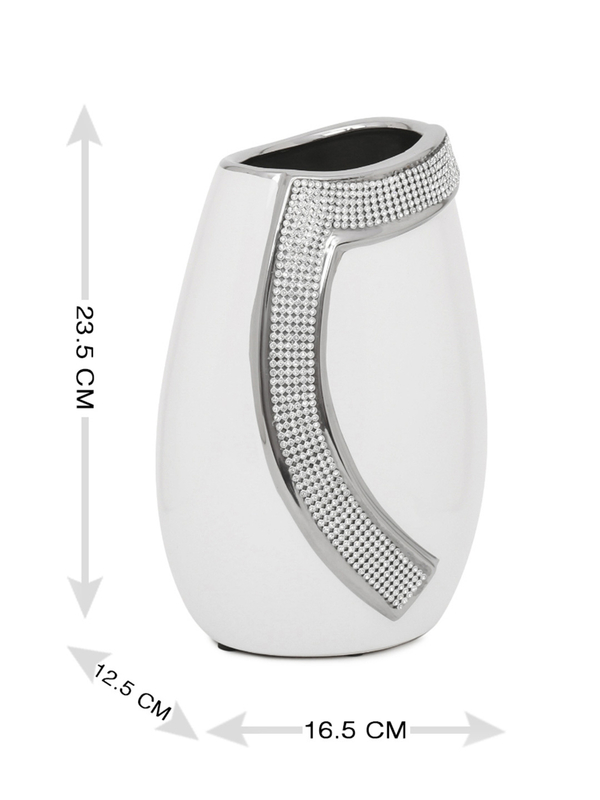 Make your home astonishing with this Curvy crystal vase from @home.